Matthew Lurin hosts The Water Of Life event. 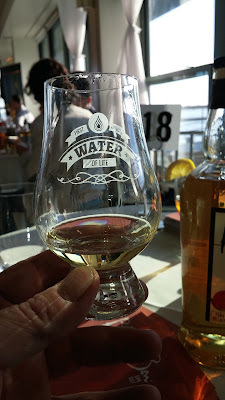 May 6th saw the birth of a new kind of whisky event: one with a both a moral purpose and a different format that lends itself to deeper tasting. Matthew Lurin is a well-known whisky enthusiast and doctor in New York. His stepfather struggles with a rare form of cancer called "Gastro Intestinal Stromal Tumors" (GIST). Matt conceived of a whisky tasting event as a fund raiser for The Life Raft Group which supports research on GIST and supports patients. It's a good cause and, as a fund raiser, the cost of admission is tax deductible. The whisky community is generous, and many people donated excellent whiskies and other prizes for a raffle at the culmination of the event. 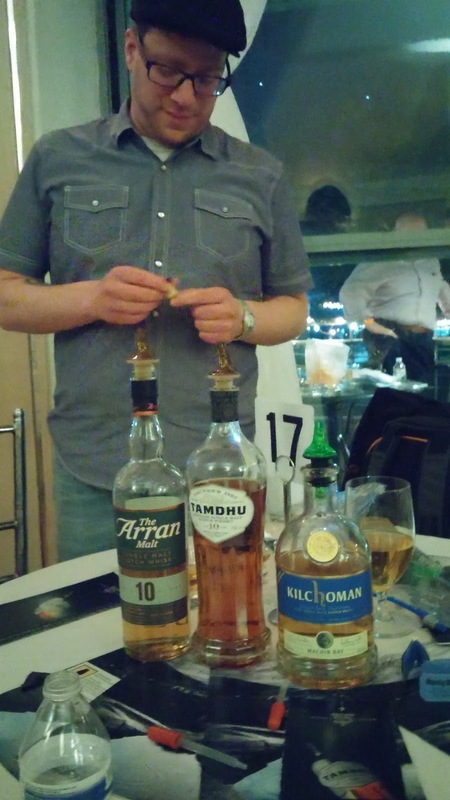 A critical mass of the North-East's whisky community attended and the selection of spirits being poured was superb. But there was something more to it. 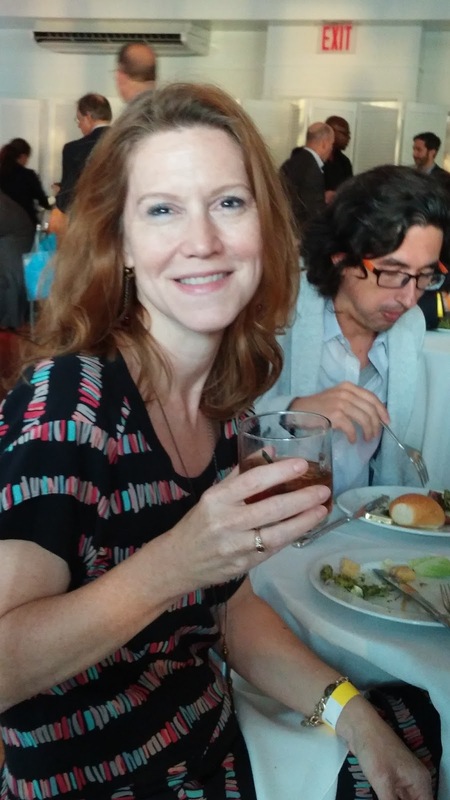 Lurin chose a great venue for the event: the Battery Gardens restaurant in Battery Park at the foot of Manhattan. The views were excellent and the sunset was glorious. 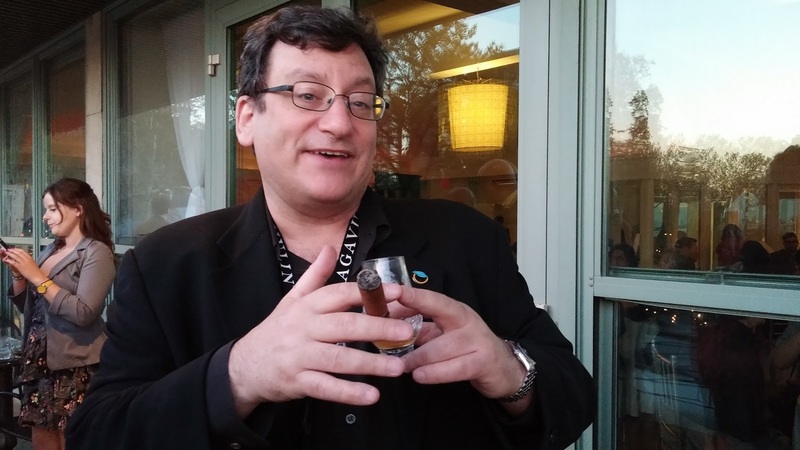 A terrace allowed the holders of VIP tickets to enjoy cigars with some special whisky selections. 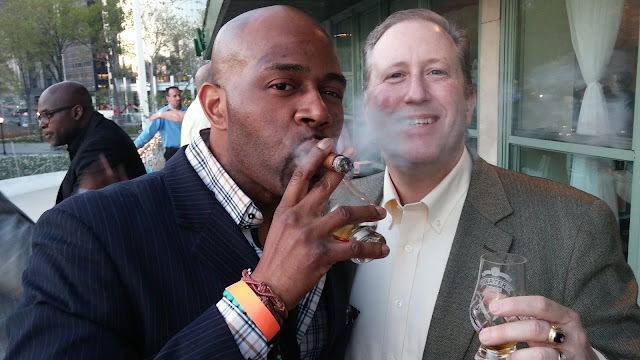 (Matt Morrissey provided Villager Elite cigars. 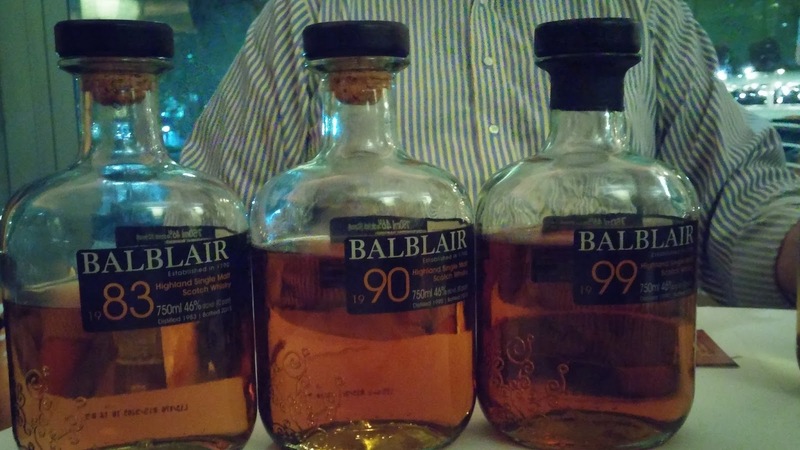 And special drams were provided by Raj Sabharwal of Purple Valley Imports and also by Compass Box. But what ended up being the most significant thing about the evening, for me, was that the format was conducive to close focused whisky dramming sessions with high quality experiences. 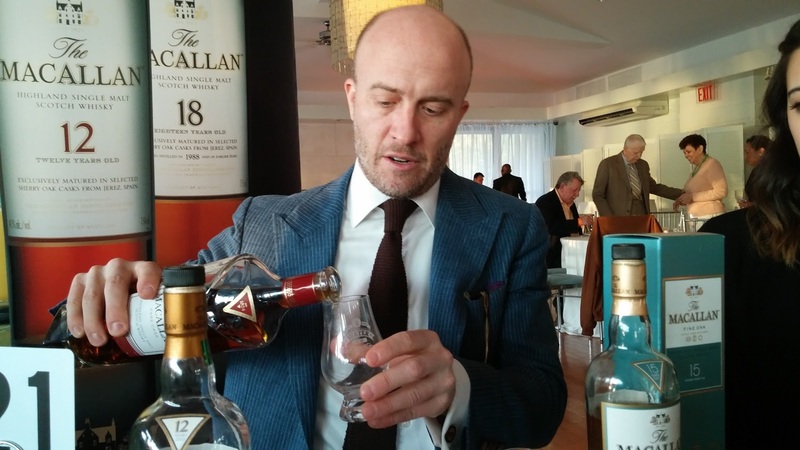 The structure of sitting down in a small group of people at a table with the whisky brand ambassador and having what feels like a one on one personal dram session feels more intimate and conveys more information, which simultaneously feeling more relaxed and convivial. It's more like having a drink with a friend, which is very much what this event was all about. The structure of the evening has you cruising in a tight formation with a group of fellow drinkers through a series of tables. 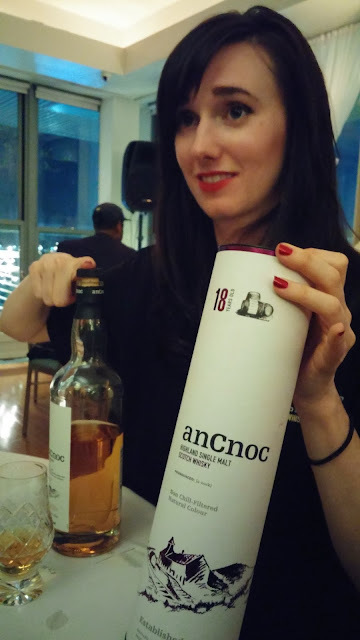 The people at this show included a fabulous group of whisky people who are Malt Impostor, and Jennifer Wren, the whisky event instigator known as Whersky . 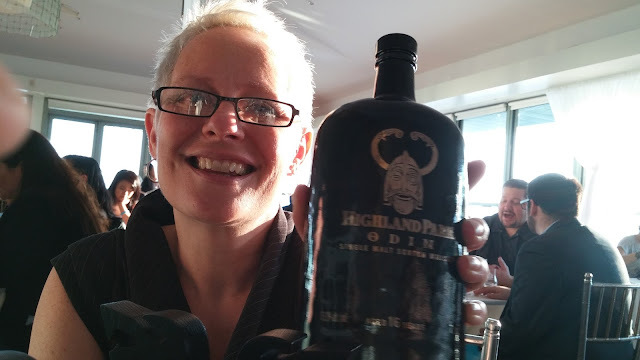 Jennifer, by the way, had just learned that she had landed the job of repping Glenfiddich for the NorthWest - living her dream and moving to the spirits world professionally. She was bursting with happiness about it and between her beauty, grace, amazing palate and love of the whisky, was an exhilarating drinking partner. 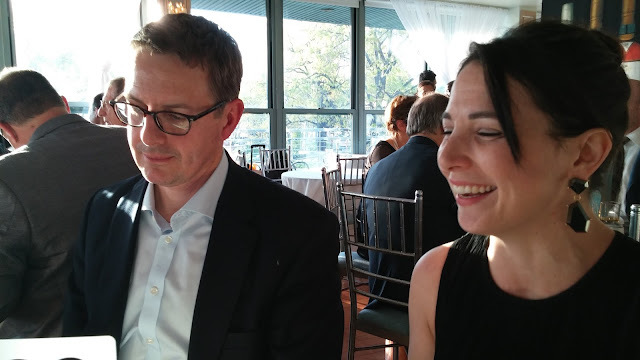 Later, there was ample opportunity to break from the group for dinner and terrace time. The cigars were terrific and the company was fantastic. There was a very special energy, with people really engaged and upbeat. It sounds like such a simple and small thing, sitting down with the brand ambassador rather than just standing at the table, but it turned out to be much more than that. In the normal whisky show format people mob the tables and the people pouring are racing to fill the extended glencairns and rushing to give a basic orientation spiel over and over. With the the "speed dating" format of The Water of Life Event there are no mobs and you have a solid piece of time in a small tight group at each table so you can relax and get the full attention of the rep and the people you're with. It's civilized and more relaxed. It fosters real conversations and more careful tasting. It actually made an unexpectedly huge difference. I'm going to post a bunch of pictures so you can get the feeling. 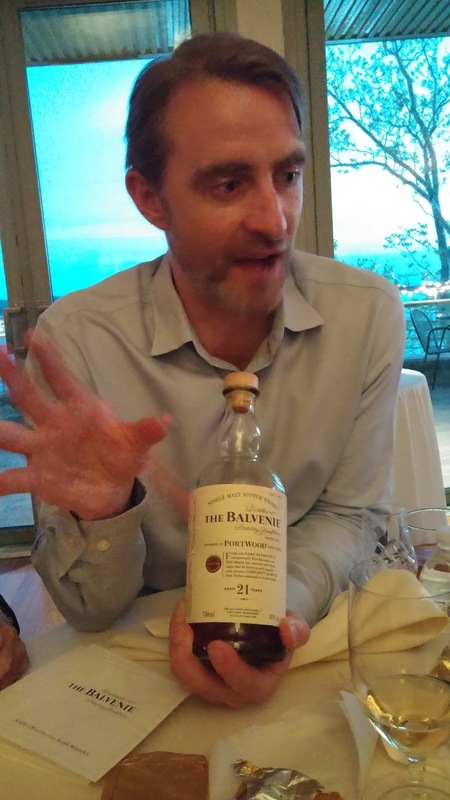 Robin Robinson poured Compass Box, but more than that, he shared his love and enthusiasm for the spirit. Steph Ridgeway pops up a surprise - a taste of Odin. 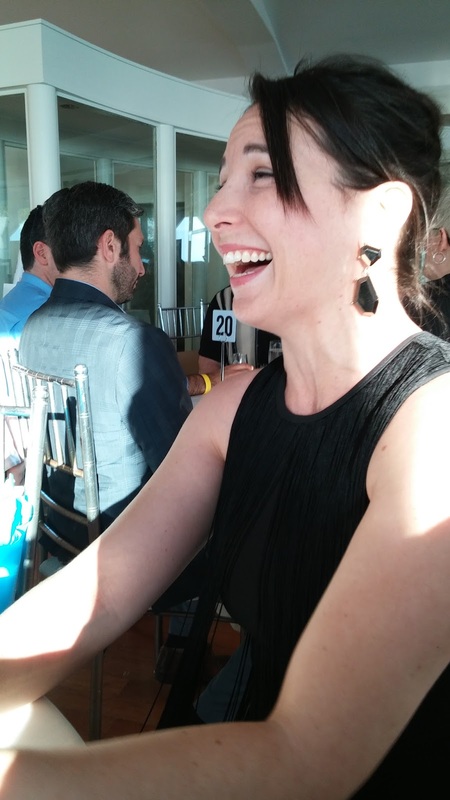 Can you tell that Steph Ridgeway loves what she does? 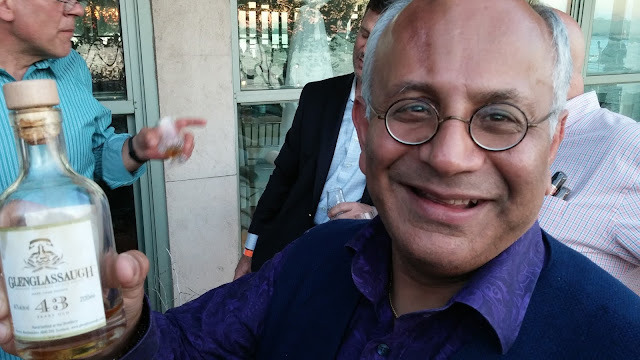 Raj Sabharwal of Purple Valley on the VIP balcony with Glenglassaugh 43. There were so many highlights. One of them was definitely David Laird's brilliant presentation of Balvenie 12 Doublewood, Caribbean Cask 14, and Single Barrel 15 paired with excellent chocolate from Green and Black. 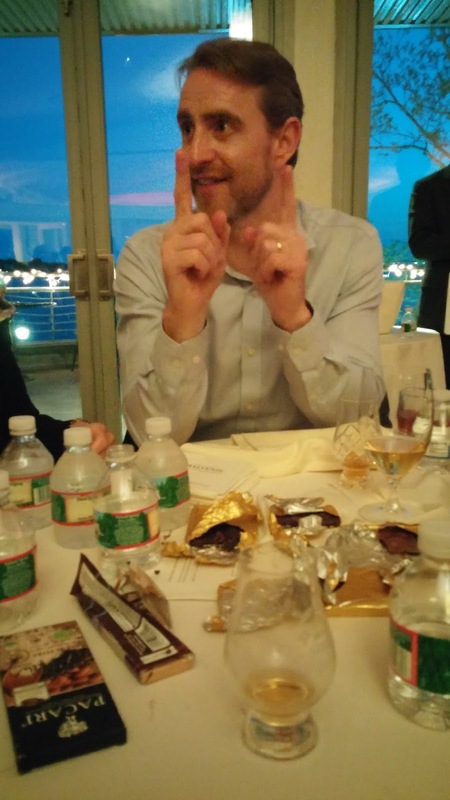 As a special encore, he also poured 21 Portwood. It was an amazing treat and the pairings were brilliant. There was fantastic food and terrific dessert. At the end of the event there was the raffle drawing. The tickets were expensive - but the event was for charity after all - and the percentage of winners was unusually high given the large number of donated prizes that the charity format inspired. 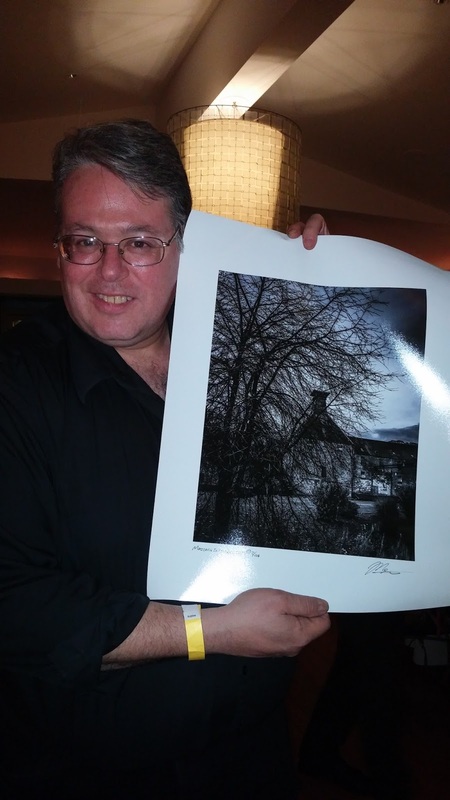 Mark Gillespie original photo print in the raffle. The Brandy Library was there - warm and wonderful. Matthew Lurin was clear that this was the First Annual Water of Life Event. He intends this to happen again and again and wants it to grow. Given how amazing it was, I hope he succeeds. 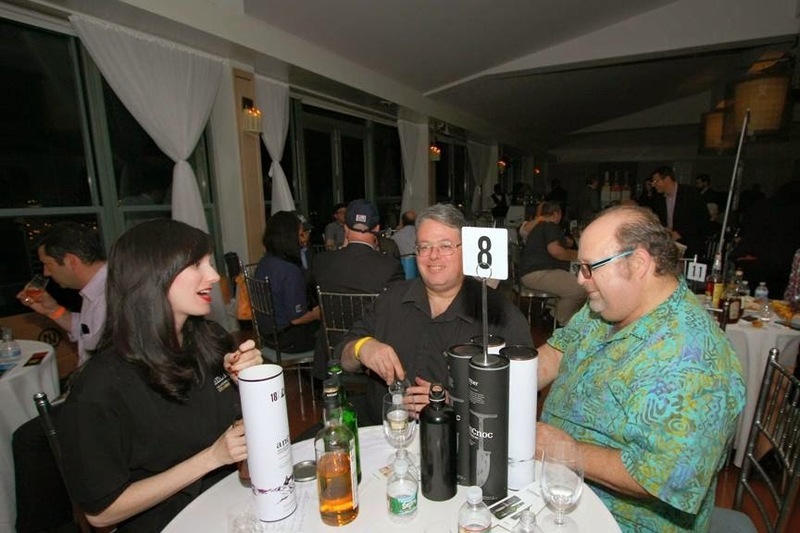 The mix of attributes - the tax deductible nature of the costs and donated raffle prizes, the excellent and relaxed format, the wonderful group of whisky enthusiasts, the superb venue, and the top flight food, cigars, views, and environment makes this an absolutely premier event. I recommend it highly. Watch for it next year. It's not to be missed. Bravo, Matthew Lurin. What a wonderful way to foster community, love of whisky, and also to give something back to help those with GIST and help find a cure. 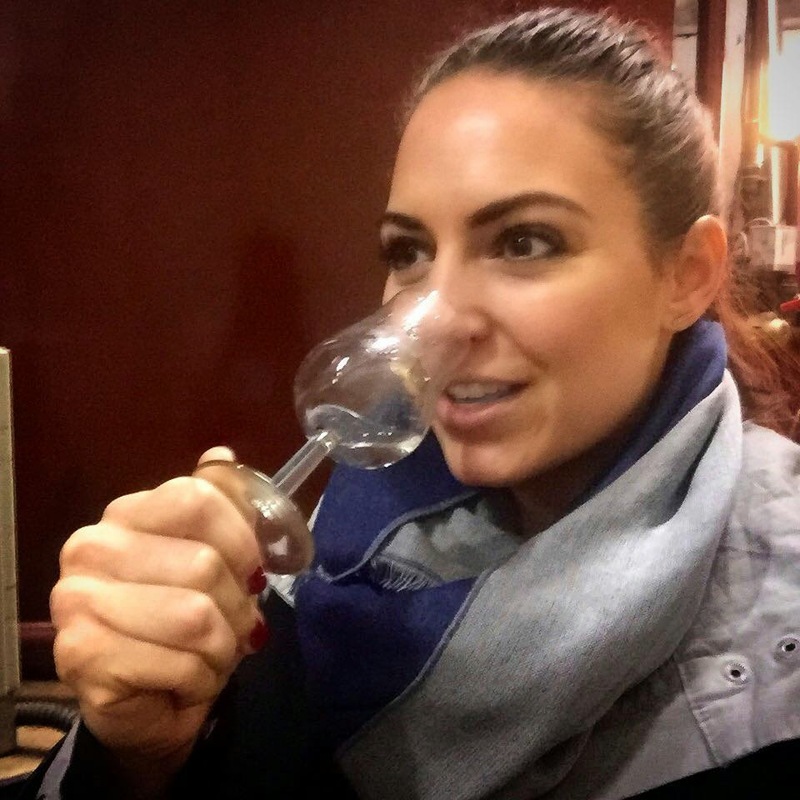 Brenne is all about the terroir of Cognac. It is distilled from a mash of Vanessa and Prestige barley strains grown on the same estate where it is distilled, plus local Charente River water, and the same yeast strains used for the estate's Cognac. It is double distilled in charantais alembic stills normally used for Cognac and then matured with an interesting wood management scheme that starts with half a decade in virgin French oak and then finishes for a couple of years in ex-Cognac casks. That wood management story is, as it turns out, something else that is unique about Brenne 10 beyond just the maturation. Instead of being a single cask product, it is a vatting of casks with a varied wood management program, including ones that have spent the full ten years in virgin oak and ex-Cognac casks. 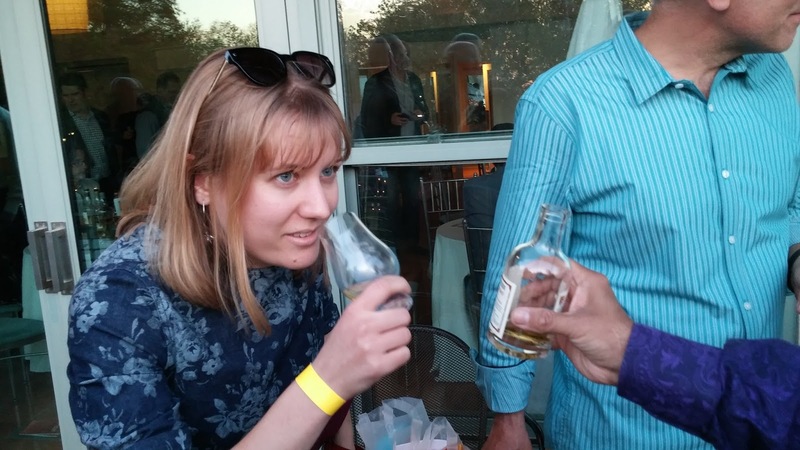 Allison Patel nosing Brenne new make. 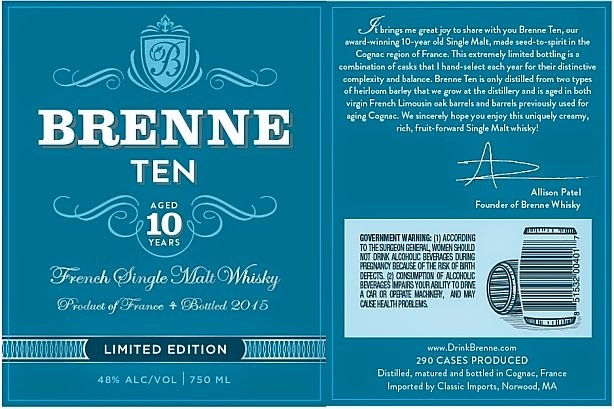 Brenne 10 label from the TTB COLA form back in April. The story of how this 10 year old expression came to be is a testament to Allison's foresight and perfectionism. Demand for Brenne has run high and she could easily have sold every drop she had. But she deliberately held back stocks in both cask types to understand how each kind of wood affects the spirit over time. 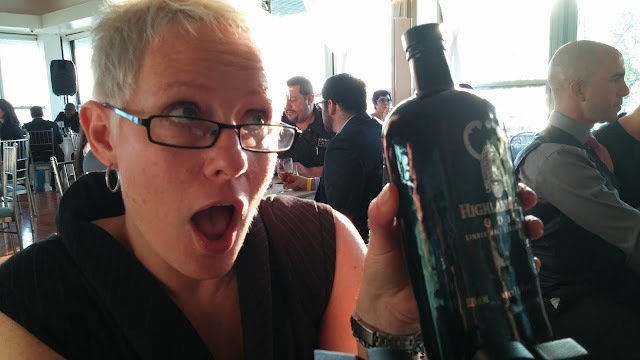 She did so because she's a whisky geek (bless her heart). 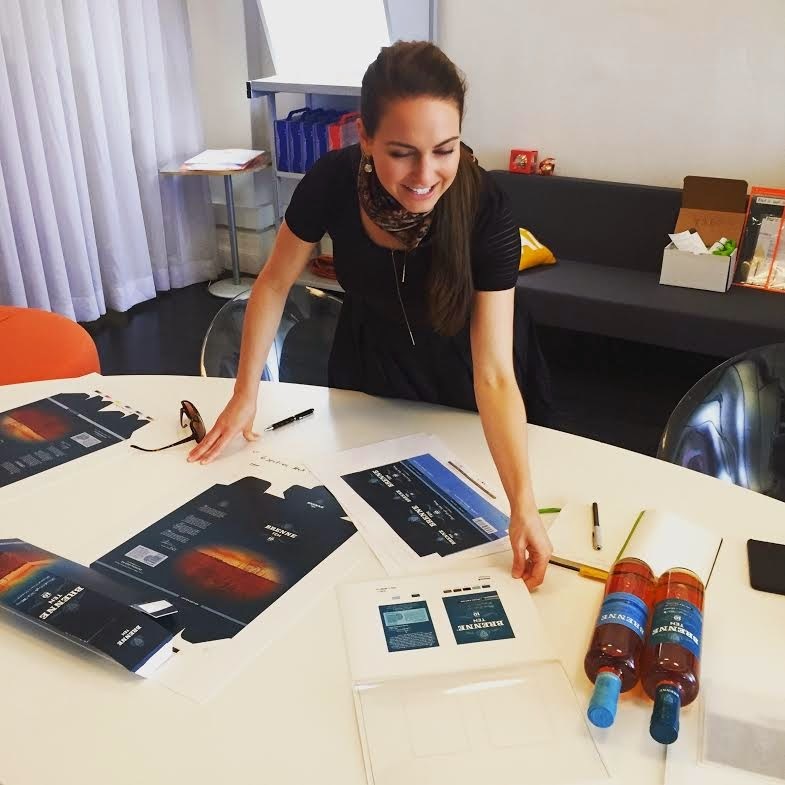 She's also a genius at branding and releasing a higher end expression a couple of years in builds excitement and provides fresh exposure. Q: Normally Brenne is aged for 5 years in unused toasted french oak casks and then finished for 2 years in ex-Cognac casks. 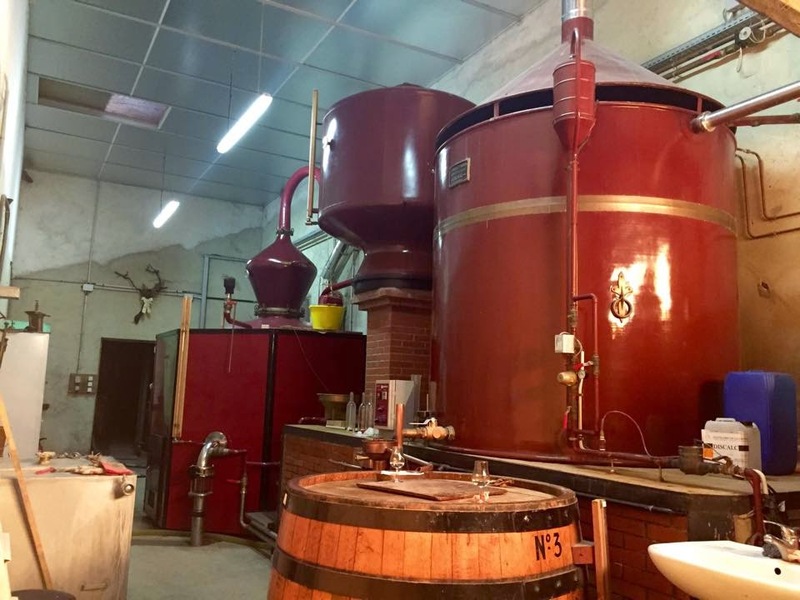 Is the 10 aged 5 years in new and 5 years in ex-Cognac? A: "This first release (the 2015 bottling) of Brenne Ten - the 2nd product in my French Single Malt brand - is a blend of 4 barrels of Brenne. I'm using a combination of virgin French Oak and ex-Cognac casks as I've done for Brenne Estate Cask but choosing this time to have some that have been in both barrels and others that are exclusively aged in either the virgin French Oak or the Cognac barrel for the full 10 years." Q: Did you specially select the casks that became 10 early on? What criteria did you use in cask selection for the 10? A: "When I first met my distiller, a majority of the whisky he had been making prior to our introduction had been laid down in virgin french oak (the oldest of these barrels being 4 years old at the time, when they came up to 5 years old, I started moving some of them into the Cognac barrels which have now been released at 7-8 yrs old in the Brenne Estate Cask line). There were a few barrels at that time that had been aging exclusively in Cognac barrels (not started in the virgin French oak). To be able to study the barreling effects on his (and now our) distillate, I wanted to keep those aside as well as age further some of the all-virgin Limousin oak barrels AND the double barreled juice once we had that going too. Every year since I've kept an assortment of barrels aside. So, when I was playing around with the idea of releasing some of the oldest ones in a 10yr old expression, it was exciting to my palate to use a combination of these barrels a blend them together (versus doing single cask releases like Brenne Estate Cask) to showcase the typical profile of Brenne in much a richer & balanced way. " A darker shade of blue. 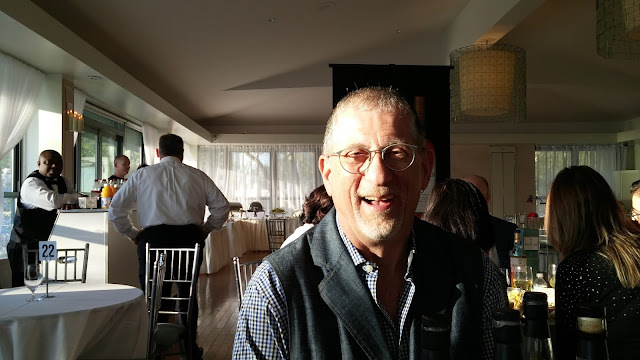 "The fun continued when it came time to choosing the proof at which I wanted to bottle the Brenne Ten. At cask-strength, it's totally awesome but you loose too much of the subtleties of the fruit and floral notes. At 40% abv I found Brenne Ten to be far too weak. 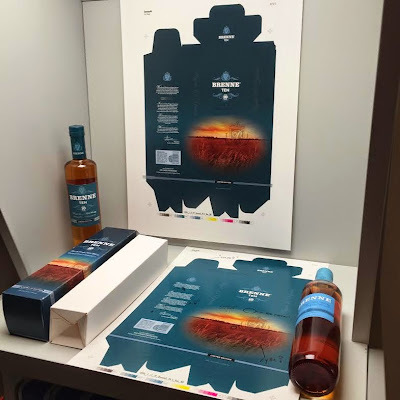 So I played around in the 45% abv - 55% abv range and settled on 48% abv, experiencing that this gave the whisky's characteristics just the right platform upon which to really shine." Q: Will the 10 become a regular (limited) expression or is it a one time thing? 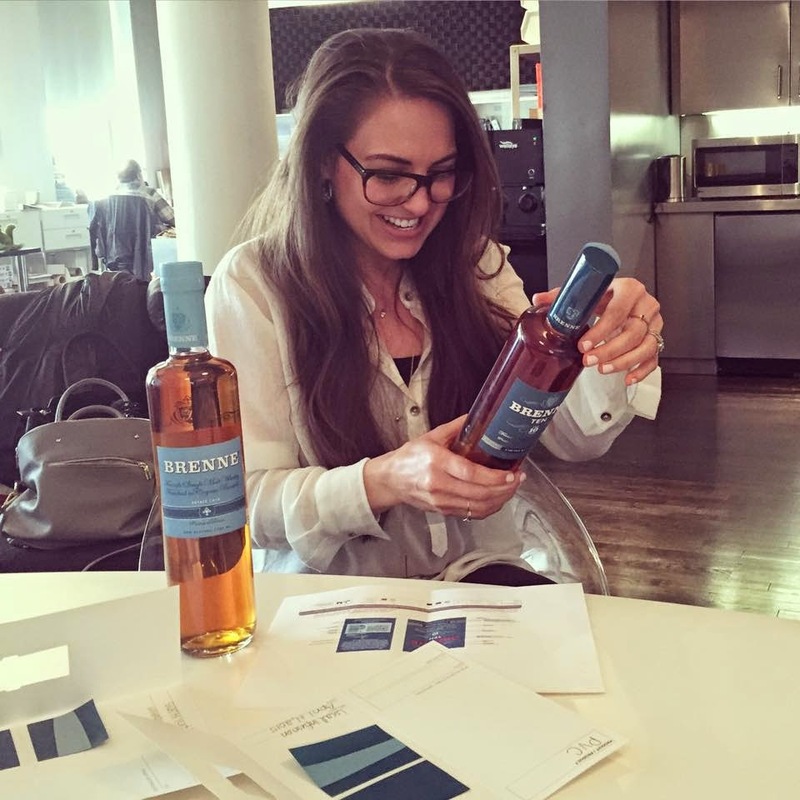 A: Yes, the goal of Brenne Ten is to release it in limited quantities annually. Since the initial release is so small (just 290 cases), I predict it won't be something that stays on the shelf a long time but I hope there is enough that those who want it are able to get it. 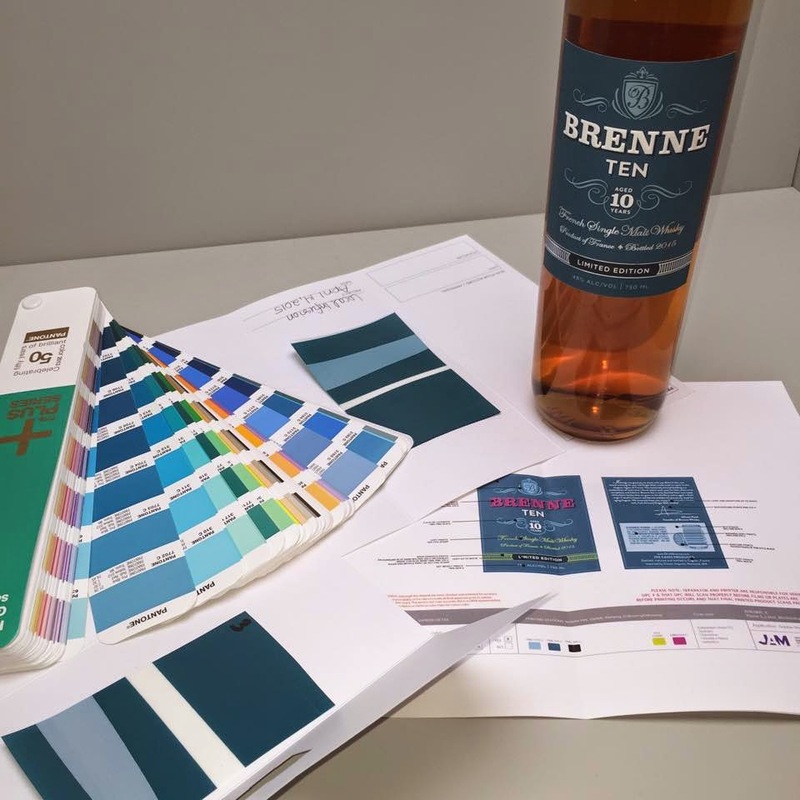 While I have this year launched Brenne in France (through Les Whiskies du Monde), Brenne Ten will be something exclusive to the USA this first year. 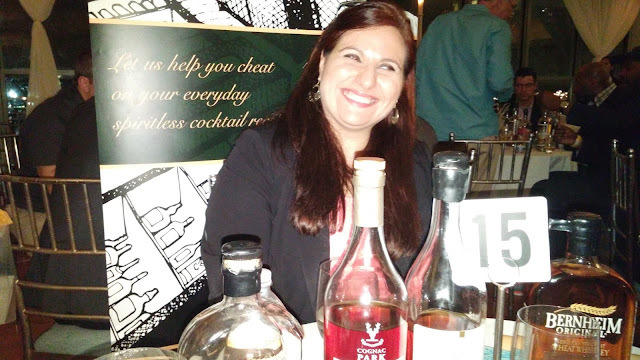 Allison had a small sample of a pre-release batch of Brenne 10 at Whisky Live in April. This is the stuff that she used to develop the expression. It's a half year or so younger than the final released version will be, but it shows her thinking and what the product, in the main, will taste like. She was nice enough to provide a bit of it to me. Peter Silver and I tasted it shortly thereafter and tasting notes follow. Because all of the branding prowess and great story doesn't mean a whole lot if the whisky isn't good. Nose: richly floral (magnolia and lily), fresh cream, and citrus buttercream confectionery filling. Undercurrents of musk, canola, and oak. The oak is light and refined - like fresh sawn yard aged oak. Palate: Really big ripe banana amid floral sweetness on the opening. Spiciness like cloves tingle on the expansion. Then sweetness and waxing apricot cream on the mid palate which blooms with toasted oak and some incense complexity and filigree. The turn has a moment of musk melded with apricot and cream. The finish is medium long on apricot banana with oak tannin with some herbal bitters and pumpkin seeds. My dominant impression is the massive banana on the opening. I should make it clear that this sample is from Allison's initial development of the product. It's at least half a year younger than the released product will be. But still, this answers the question of whether extra maturation will amp up the esterification already rampant in Brenne. The answer is "yes", This already effusively estery fruity whisky has become even more intensely so with additional years in the wood. At higher proof and with this extra time there is more intensity and richer flavor with the 10 than the regular expression, which is most welcome in my book. This is Brenne on steroids. It's more everything. Like a trip from Angoulême to Cognac on the back roads, this whisky breathes the air, soil, and water of a magical place. FYI: Brenne Ten is scheduled for release in the Fall of 2015 via Classic Imports (http://www.classic-imports.com/Classic-imports.aspx). It will retail in the $100-$120 range. "One of her current projects is the development of an exciting new single malt world whisky expression called Brenne. 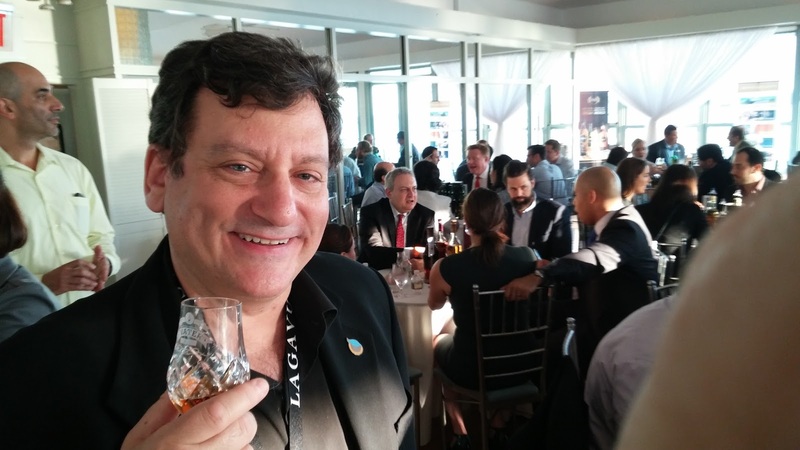 It promises to be a significant new spirit: Cognac's first single malt."